Most of the day's interest was offshore where eight hours of seawatching produced five Manx Shearwaters, a Whimbrel, three Great Skuas, two Mediterranean Gulls, five Black Terns, a Little Tern and 517 Common Terns, mostly moving west. There was a small arrival of 20 Willow Warblers on the land and a handful of Swifts and Sand Martins flew south. Four Porpoises and a Grey Seal were seen. 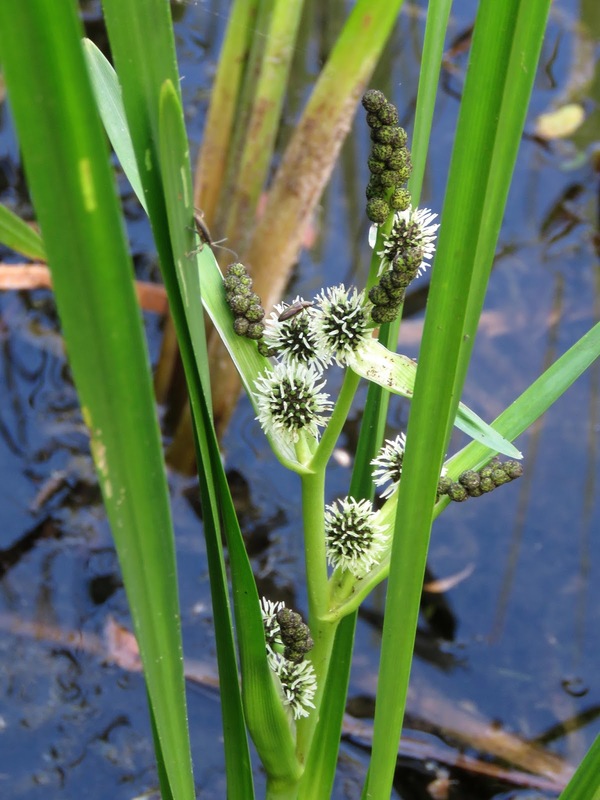 A few days ago a patch of Branched Bur-reed was found on the spine of the northern Long Pit. Having checked through the records I was surprised to discover that it was last recorded in the Observatory area in 1973.